Rebirth, or reincarnation, is a concept that has attracted humanity through the ages. The ancient Greeks, the Christians, Hindus, Buddhists and even modern scientific societies have taken up the question of rebirth and come to varying ideas about its reality and its mechanism. The importance of this issue lies in the fact that without some kind of rebirth, the value and meaning of human life on earth is very hard to define. Our deepest search for meaning and significance for our lives forces us eventually to address this question and determine how it affects us, here and now. A related concept, known as “karma” or the “law of cause and effect” is deeply tied to the question of rebirth. While almost everyone can agree that there is an operative law of cause and effect in life, the significance of this law needs to be seen in relation to “what came before” and “what comes after” to have its true value for us. We have all had occasion to question providence; to ask “why do the good suffer, why do the evil prosper”. Such fundamental questions of life take on a new significance when viewed with an understanding of rebirth and karma. 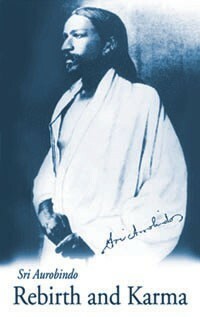 We intend to take up the study of these concepts, using Sri Aurobindo’s Rebirth and Karma as our basic text. At the same time we intend to review and evaluate the various viewpoints on rebirth and karma from around the world and over time, including a review of Greek, Christian, Hindu and Buddhist (including Tibetan Buddhist) teachings, and modern viewpoints. Books will be available for purchase, or can be borrowed from the Institute library. The course will start in November 2006 and will take place on the 2nd and 4th Wednesday of each month with some exceptions. Please refere to the below schedule. We will systematically work through the text but without a predetermined number of pages or chapters per session. We will update all attendees prior to the next session as to where we are taking up the next class and where the reading starts, as well as providing a brief overview of the theme or focus of the next session. Note that each class will be ‘self standing’ so you need not attend every prior class to get a benefit from an upcoming class. Santosh Krinsky has been a student of yoga since 1971, or 35 years. During that time he has lived for various periods of time at Ashrams in Germany, USA and India, including almost a year at the Sri Aurobindo Ashram in Pondicherry, India. He is a student of Sanskrit and has studied religion, philosophy, and metaphysics extensively over the years. Since 1978 he has been publishing books on yoga, spirituality and Ayurveda and he is now the editor in chief of Lotus Press of Twin Lakes, Wisconsin, one of the leading publishers in the West for books on Ayurveda, Reiki and alternative health, as well as being the US publisher of Sri Aurobindo’s writings. Dates are subject to change. Please be sure to call ahead or inquire via e-mail.